Travis Browne’s stock in the heavyweight division may of risen the most this year with two first-round knockouts over the likes of Gabriel Gonzaga and Alistair Overeem. 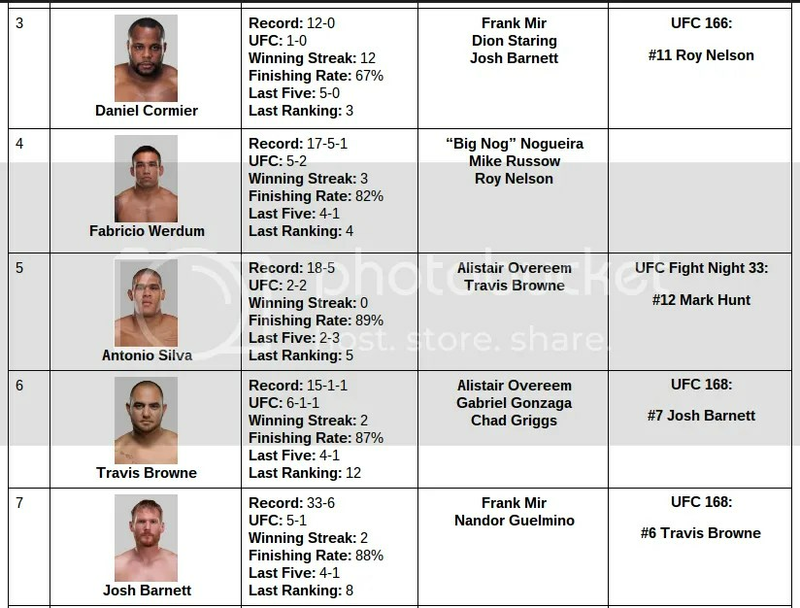 Hovering around the Top Ten for awhile now, these two signature wins, perhaps the Overeem victory the biggest, has put Browne in a position he’s never been in before. In my Rankings (Here & Below), Browne is the 6th ranked Heavyweight in the division. What’s next for him? A big fight against Josh Barnett who is ranked 7th in my Heavyweight rankings. 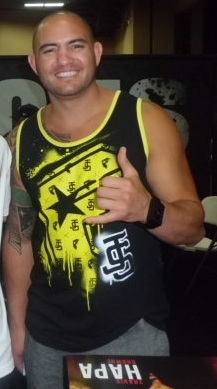 Barnett recently made a successful return to the UFC with a controversial stoppage victory over Frank Mir. Even though it’s being dubbed controversial because Mir claimed he dropped to go for a takedown, the end appeared inevitable to say the least. Of course though, it’s MMA, and Mir has pulled off the incredible before, submitting Antonio Rodrigo Nogueira while in “Zombie Mode”. Anyways, Browne and Barnett will do battle at UFC 168 with perhaps big implications, a title shot. Not forgetting about Fabricio Werdum though, who arguably should be next in line, but we’ve seen in the past, something spectacular could alter plans. And Browne, a 4 time “Of the Night” bonus winner, knows how to do something spectacular, just ask Alistair Overeem how his foot smelt.